When assigning a Task to someone you might want to also notify others of its progress. For this we use Followers. 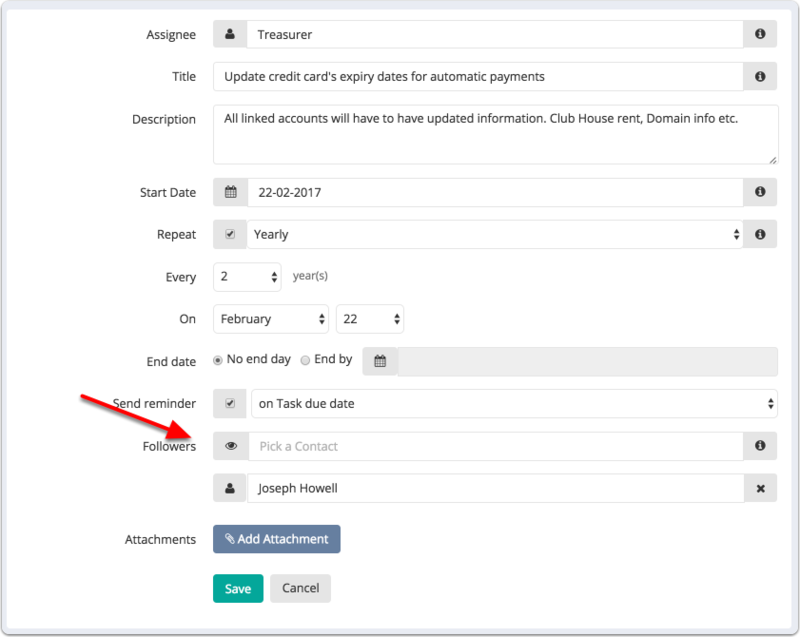 Followers will get notified via email when a new note is added to the Task or when it is marked as Complete.